Franklin, TN – Officers responding to a burglar alarm activation this morning made the quick capture of a pharmacy burglar. Franklin Police Officers were dispatched to Walgreens, at 1415 Liberty Pike, in the McKay’s Mill Subdivision at 1:40 this morning after operators at a security monitoring center received the alarm. Those operators used surveillance cameras inside to watch the burglar, giving timely information to police. Responding officers found the front glass door to the pharmacy damaged and standing open, and the security glass leading to the pharmacy area shattered. 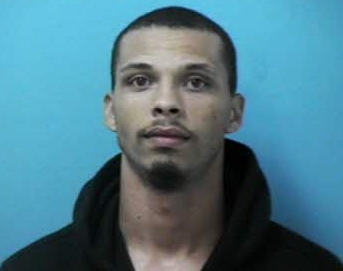 Officers spotted a vehicle leaving the area and stopped 20-year-old Robert Brigham of Columbus, OH. Investigators developed evidence connecting him to the burglary during the investigation. Brigham, charged with Burglary and Theft, is being held in the Williamson County Jail on a $71k bond. He is due in court 07/24/2014 at 1:00pm. 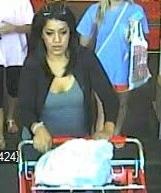 Franklin, TN – Franklin Police need your help to identify a trio of thieves preying on distracted women in grocery stores. On July 8, the suspects worked together to distract a 64-year-old woman at Whole Foods on McEwen Dr. and a 96-year-old woman at the Mallory Ln. Kroger. 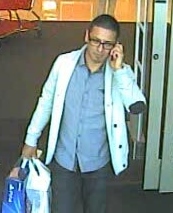 In each case, one of the female suspects distracted the victim by asking product questions while the male suspect removed the wallet from the victim’s purse in the shopping cart. In one of the cases, the male suspect actually slipped the wallet back into the victim’s purse after removing cash and a credit card. The suspects racked up approximately $10,000 in charges at nearby stores using the victims’ stolen credit cards. All three suspects are Hispanic. One of the females may have a tattoo on the right side of her neck. If you have information about this case or know who these crooks are, you can submit an anonymous tip to Franklin Police here, or call detectives at (615) 794-2513. 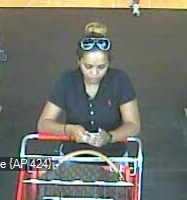 Franklin, TN – An Indiana woman, accused of felony shoplifting, will be arraigned at 9am August 12 after stealing more than $1,400 in jewelry from a Main Street shop. On 02/15/2014, 66-year-old Teresa Perkins concealed approximately 30 pieces of jewelry during her 40-minute visit to The Shoppes on Main. Before leaving, though, Perkins used her own credit card to purchase two items, totaling $55.50. The store’s owner later discovered that items in her store were missing, and used the store’s surveillance system to help identify Perkins as the suspect. 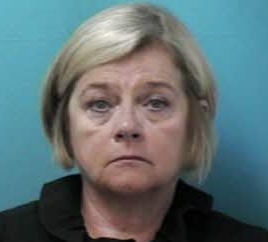 Perkins surrendered on June 25, following an indictment by the Williamson County Grand Jury charging her with Felony Theft. She is free on a $5,000 bond.